The new bridge is a cable-stayed structure. It has three towers each 207 metres tall and is 1.7 miles long making it the longest bridge of its kind in the world. Huge thank you to Finlay Wells for the cover image. Fife and Tayside are lands of rivers including one of the longest in the UK, the river Tay. There are very many bridges across the region. The Queesnferry Crossing brings to at least 8, key bridges for travel through the region from north to south down the east coast crossing rivers and estuaries that all flow into the North Sea. They all offer great possibilities as film locations and have, over the years, featured in many film and TV productions – mostly as part of the view but sometimes involved in the action. Where are all the bridges? At Montrose there’s a rail and recently built (in bridge terms) road bridge that travel across the Montrose basin and the River South Esk. Further south the route divides between the cities of Dundee and Perth further inland. At Dundee there are the Tay Road Bridge opened in 1966 and the Tay Bridge, the famous rail bridge that cross the Tay Estuary over to Fife. 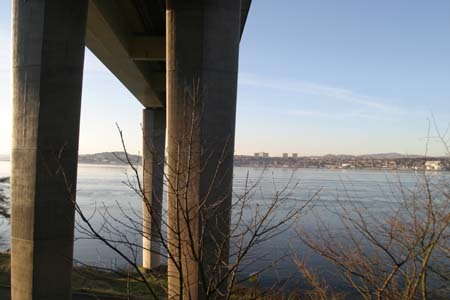 The Tay Road Bridge provided a key location for BBC forensic crime drama ‘Silent Witness’ story ‘In a Lonely Place”. Perth is the location for the Friarton Bridge that rises majestically over the city and a higher reach of the River Tay. Then all routes lead to, now three, bridges over the Forth. The rail bridge was opened in 1890 by the future King Edward VII.. The Forth Road Bridge opened in 1964. The design engineer was Sir David Anderson who was a student at the High School of Dundee. And now there’s the Queensferry Crossing. We happen to think that some of greatest views are from the Fife side including at North Queensferry. As the name suggests, an original ferry crossing was created in the 1000’s when Queen Margaret of Scotland founded a free service for pilgrims to travel to St. Andrews. 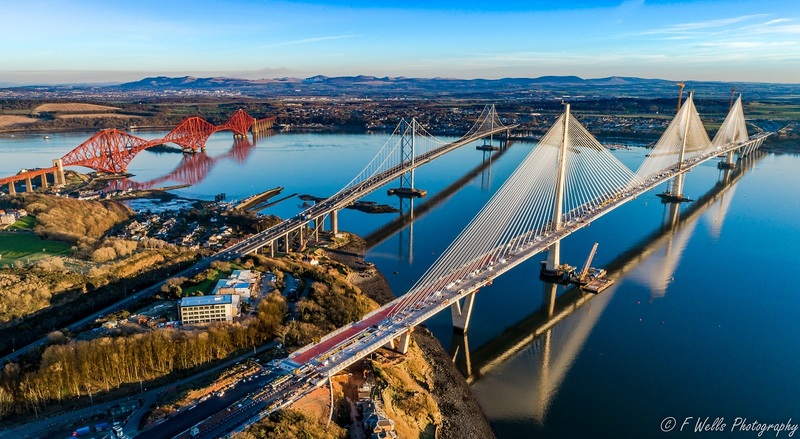 There’s now no traffic going across the Forth Road Bridge as a long programme of work lies and its availability as a film location is certainly under consideration.